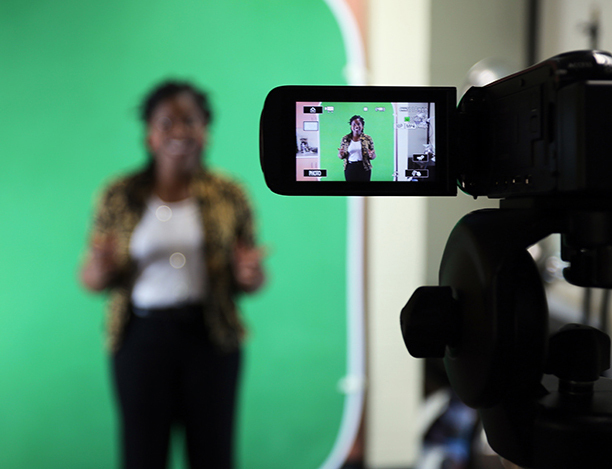 Need to record a video for your course? We have you covered! The Multimedia Studio currently provides a wall mounted video camera that records in 1080p HD, a microphone, lighting and a green screen! Please bring an SD or SDHC card with you to save your video. One can also be purchased from the Campus Store. Guides you through using the Multimedia Studio at the Dover site. Information on eligibility, loan period, and fines.